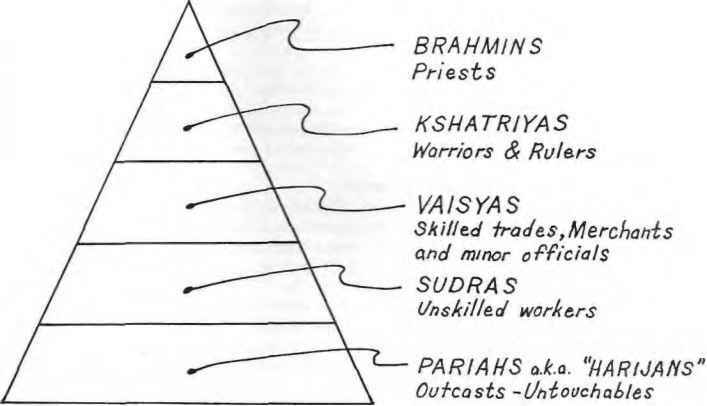 By the mid-i53os, two major reforming movements had become established in western Europe. The first, increasingly referred to as "Luther-anism," was geographically restricted to certain German territories and was primarily influenced by the catechisms of Martin Luther and the theological writings of Philip Melanchthon. The second, located in some of the southern German and Swiss cities and later to become known as the "Reformed" faction, adopted a program of reform that was in many ways more radical than Luther's. No single individual had anything like the personal influence of Luther over this second movement. Writers such as Huldrych Zwingli, Heinrich Bullinger (Zwingli's successor at Zurich after his death in battle in 1531), and Martin Bucer were seen as influential, rather than authoritative, within the movement. Alongside these, various other movements, more radical and often quite small, jostled for influence and power. 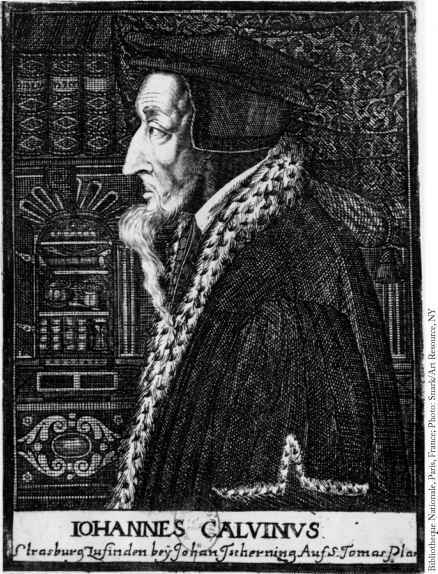 Engraving of John Calvin in his study. Anonymous. decisive leadership when it was far from clear who its new leaders would be? Yet this severe blow to Lutheranism was soon accompanied by another that placed it in a very serious dilemma. In 1530 the Lutheran princes had presented their case for reform to Charles V at Augsburg. Determined to restore unity to his empire, Charles rejected the Augsburg Confession as a basis of faith and gave the princes until April 1531 to revert to Catholicism. The Lutheran princes responded by meeting at the Saxon town of Schmalkalden in December 1530 and creating a solemn Protestant League to oppose Charles V if he persisted with his threats.1 As support for this Protestant League grew, Charles realized that he faced internal threats to his authority at a time when the Turkish threat to the east was becoming increasingly serious. He offered a compromise: the Lutheran princes were permitted to exercise their religion freely within their territories until the matter could be properly resolved. While some later German historians viewed this league as the potential basis of a "Protestant German empire," it was seen at the time simply as a temporary means of fending off imperial pressure. Until 1543, it succeeded admirably. Under the leadership of Philip of Hesse and John Frederick, Elector of Saxony, Lutheranism was able to develop, virtually unchecked, within the territories of the sympathetic princes. By then, however, tensions within the league had emerged. Philip of Hesse's bigamous marriage had created a scandal. Bucer, Luther, and Melanchthon were severely criticized for sanctioning it and bringing the Reformation into disrepute. As Charles V began to regain his military strength, he entered into private agreements with local princes throughout 1546, and Philip began to realize that Luther-anism was in serious danger. He urged the formation of an alliance with Swiss Protestants before it was too late. Yet nothing came of any such plans. The Schmalkalden War broke out, pitting Charles V against a reduced group of Protestant territories. Unusually, this war proved decisive.2 In June 1547, both Philip and John Frederick were captured and imprisoned in southern Germany. Within a year, Luther-anism had lost not merely its religious founder and leader but also its two most significant political supporters. It was a period of immense demoralization for the movement. Charles V moved quickly to impose religious conformity on the German Lutheran territories. As the Council of Trent had only begun to respond to the challenges of the Reformation, Charles demanded interim measures that would secure religious peace until Trent's final report was published. The Augsburg Interim of 1548 allowed Lutherans to retain two of their most distinctive practices: clerical marriage and communion in both kinds.4 In other respects, the document took a robust traditional Catholic approach to church practice. The traditional Catholic mass was to be restored, with all its ceremonial. It was as if the clock had been turned back by thirty years. Some Lutheran princes refused to accept the Augsburg Interim and adopted instead what came to be known as the "Leipzig Interim," which was more Protestant in outlook.5 In responding to these challenges, Melanchthon emphasized adiaphora ("matters of indifference"), believing that it was possible to tolerate disagreement over certain matters. Yet Melanchthon's attempt to develop a pragmatic approach, intended to safeguard as much of the Lutheran heritage as possible under the new circumstances, was regarded by many as tantamount to compromise and betrayal. His place as Luther's leading interpreter was openly challenged by those who saw him as naively accommodating Luther's vision to political expediency. Tensions grew within the movement, with the supporters of Melanchthon facing fierce opposition from a "Gnesio-Lutheran" faction that fought to retain the untainted, uncompromised doctrines of their movement's much-revered founder. In the end, the crisis over the interims passed. The Protestants managed to regroup militarily, forcing Charles V to accept the Religious Peace of Augsburg (1555), which settled the religious shape of Germany.6 Each territory would follow the religion of its ruler, which he could impose on his subjects. Those of his subjects who disagreed with his religious allegiance were to be free to migrate to other territories. In the imperial cities, both Catholicism and Lutheranism were to be permitted. Significantly, only these two religious options were envisaged. Anabaptism and the forms of Protestantism found in southern Germany and Switzerland were pointedly and deliberately omitted from consideration. This principle was encapsulated in the famous slogan cuius regio, eius religio (best interpreted as "whoever rules the region decides its religion"). Humiliated, Charles abdicated the following year. He had failed in his mission to restore Catholicism to Germany. But what of the other Protestant movement? Would it suffer the same fate? After all, Zwingli and other Swiss Protestant reformers were strongly committed to a nationalist agenda, seeing the rebirth of what they regarded as authentic Christianity to be linked with the cultural and political renewal of their nation.8 Would this second form of Protestantism end up landlocked in the German-speaking cities and cantons of Switzerland, becoming, like Lutheranism, a territorial religion? Or could it develop a sense of identity, a core vision, that would allow it to transcend national boundaries and become a truly international movement? In the 1520s and early 1530s, it seemed to many that the Swiss reform movement was simply a regional religious movement whose history condemned it to a territorial future. Yet by 1560 it had become increasingly clear that this second form of Protestantism was capable of crossing political and social frontiers with ease. Something had happened to transform the movement, liberating it from such territorial limitations. But what? The answer lay in an individual and a city, both of which played a critical role in the consolidation of Protestantism at this time—John Calvin and the city of Geneva.